People often eat calorie-dense foods which fuel obesity, but there's more to it than just living an unhealthy lifestyle. Here are a few factors responsible for developing obesity. This article was originally published on The Conversation and does not reflect the views of Parent24. South Africa has been wrapped up in public and parliamentary debates on the value of South Africa’s proposed sugar tax. These highlight that the growing obesity epidemic has been fuelled by people consuming high levels of sugar. Obesity shortens a person’s lifespan and affects their quality of life. It leads to lifestyle diseases that result in among others strokes, blindness, amputations and kidney failure. Obesity has become a global epidemic with more than 600 million adults worldwide classified as obese. The US leads the pack with a 34% obesity prevalence, followed by Mexico (30%) and New Zealand (about 26%). In Africa, the World Health Organisation reports that South Africa has the highest obesity levels with 26.8% of people classified as obese. 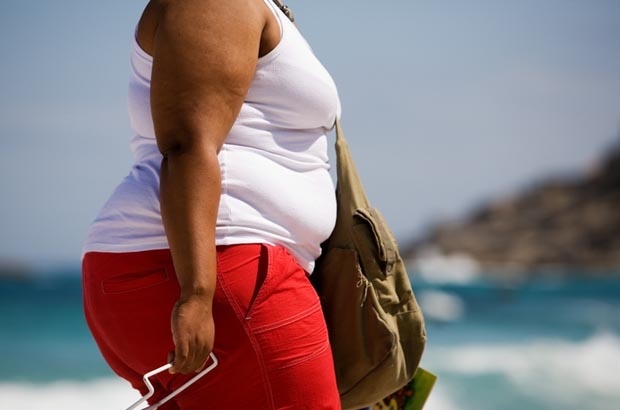 Seychelles has a 26.3% obese population while Botswana follows closely with 22.4%. In South Africa obesity related lifestyle diseases rival HIV/AIDS and TB in terms of their impact. Research shows that chronic diseases result in one death every hour. About 40% of women and 11% of men suffer from obesity in the country. And 25% of teenage girls in rural South Africa are overweight or obese. But blaming sugar for obesity neglects the many factors that are at play in this complex health issue. Global studies show there are several other factors responsible for someone developing obesity. These include genetic links, lifestyle changes, calorie-dense diets, sleep deprivation and psychological problems. Scientists have established a genetic basis for obesity but defining the genetic contribution is still a challenge. Bio-medical research has made some headway. Global research has shown that some populations have a genetic predisposition to obesity. For example, studies show that in the US and Europe, some populations are genetically prone to Bardet-Biedl syndrome. People who have this condition have disproportionately distributed fat on their abdomens and chests rather than their arms and legs. Similarly Prader-Willi syndrome – a complex genetic condition where people develop an insatiable appetite, which leads to chronic overeating and obesity – affects an estimated 1 in 10,000 to 30,000 people worldwide. But studies into specific conditions in Africa are rare. And more generally, there have been limited genome-wide association studies on African populations. Also read: A mom's story: "Living with my son's Prader-Willi Syndrome"
As the world moves toward an information based economy, adults and children have increased the amount of time they spend on mobile phones, watching TV and on computers or tablets – taking sedentary lifestyles to a new level. For children this shift means they have little time for unstructured play or physical activity – and it directly links to an increase in chronic, non-communicable diseases. According to a study by the Milken Institute in the US, every 10% investment in information and communication technology results in a one percent increase in obesity. In the US, for example, according to research, children spend between five and 10 and a half hours daily sedentary watching TV, playing video games and engaging with their iPods, tablets, smartphones and social media. As a result, 17% of the paediatric population in the US are obese. Also read: Does eating late make kids fat? In addition to technology, people’s daily diets have seen massive changes in the past few decades. Energy dense foods have more calories than nutrients. A high intake of empty calorie foods may cause people to gain weight, especially if they take in more calories than they burn. Many working parents have to make long commutes to work and rely on convenience foods packed with salt, sugar and fat instead of home cooked meals made from fresh ingredients. Many of these products also contain high levels of gluten. A growing body of research links gluten – a protein found in grains such as wheat – with potentially harmful effects on gut health, inflammation, fat regulation, metabolism and fat storage. In a Brazilian study researchers link gluten to obesity. Researchers argue the modern way wheat products are processed means they contain amylopectin and gluten additives that are fattening, inflammatory and addictive. These drive obesity, diabetes, heart disease, cancer and dementia. The prevalence of obesity in the last several decades has been paralleled by a trend of reduced sleep in adults and children. Worldwide, 85% of people suffer from insomnia. Too little sleep disrupts the normal functioning of our bodies. This includes the hormones that regulate hunger and satiety -– which can result in overeating. Chronic, even partial sleep loss, affects hormones including those which regulate hunger and satiety-related hormones such as ghrelin and leptin. There’s a close link between how much people sleep and how much they weigh. A group of researchers studied about 60,000 women for 16 years, asking them about their weight, sleep habits, diet, and other aspects of their lifestyle. At the start of the study, none of the women were obese. After 16 years, those who slept five hours or less each night had a 15% higher risk of becoming obese compared to women who slept seven hours each night. A meta-analysis carried out on previous childhood sexual trauma studies, which included a total of 112,000 participants has shown that being subjected to abuse during childhood entails a markedly increased risk of developing obesity as an adult. And new research shows that early trauma is so damaging that it can disrupt a person’s entire psychology and metabolism. This also links to stigma. For example, local researchers found that the stigma attached to HIV/AIDS and weight loss or “thinness” could be fuelling the obesity epidemic among some women. Studies in Sub-Saharan Africa have shown that being thin is associated with being HIV positive. What this adds up to is that if the South African government goes ahead with its plans to implement the sugar tax, it also has a responsibility to fund research into obesity patterns in the country as well as educate consumers and create supportive community environments to assist people to make healthier lifestyle choices. Obese 4-year-old has to have stomach surgeryHave you received a red card for packing unhealthy lunches? What do you do in the home to ensure that your family lives a healthier lifestyle? Tell us by commenting below.